The University of Pittsburgh has a great influence on the western Pennsylvania bioresearch community, making it one of the most highly-funded markets in the Northeast for laboratory equipment sales. According to the latest NIH and NSF research funding statistics, the University of Pittsburgh was awarded at least $444.2 million in research funding in 2012. 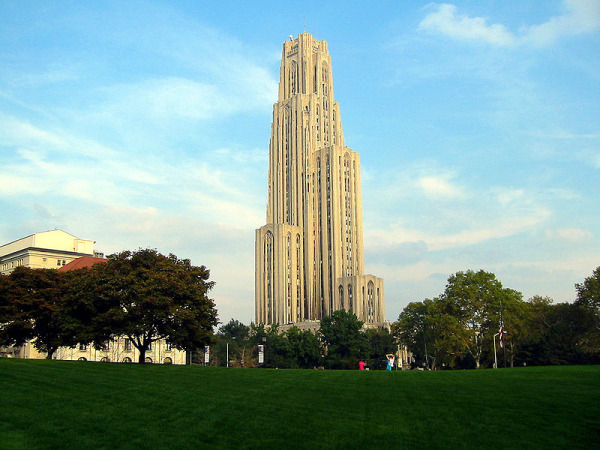 The NIH awarded the University of Pittsburgh $419.5 million in 2012. The research funding was spread out over a number of research projects across various departments at the university. For the convenience of our readers, we have compiled a list broken down by the number of projects awarded research funding in some of the science research disciplines and the total amount of funding for those projects. For the full list of departments, awards and funding, please visit the NIH website. In addition to the $419.5 million awarded by the NIH, the NSF gave the University of Pittsburgh $24.7 million in 2012. The projects awarded research funding span a number of science research disciplines. Projects in the bio field were awarded $3.3 million in total. Of those life sciences projects, the programs of study range from global systems science, evolutionary processes, physiology and structural systems, genetic mechanisms, molecular biophysics, cellular dynamics and function, developmental systems, bio informatics and neural systems. The University of Pittsburgh was ranked ninth by the NSF in 2009 for total R&D expenditures in the life sciences, having spent a total of $544.5 million. In 2011, the NIH ranked the University of Pittsburgh sixth for direct plus indirect costs excluding R&D contracts and ARRA awards, making the total $416.3 million. The University of Pittsburgh also received $13.3 million in research funding from the NIH’s Heart, Lung and Blood Institute, $18 million from the NIH for stem cell research, $7.2 million from the National Institute of Allergy and Infectious Diseases, $6.24 million from the National Institute of Neurological Disorders and Stroke, and two five year grants totaling over $5 million from the National Institutes of Health for organ and tissue cell replacement research. Biotechnology Calendar, Inc. invites lab suppliers to network with science researchers at the University of Pittsburgh at our next Pittsburgh BioResearch Product Faire™ Event on June 13, 2013. Biotechnology Calendar, Inc. is a full-service science research marketing and event-planning company that runs trade shows at top research universities across the country. For more information on our Pittsburgh BioResearch Product Faire™ Event, or to view more funding statistics for the University of Pittsburgh, click on the button below. If you’d like to learn more about the laboratory equipment sales market at other research institutions, we encourage you to check out our 2013 calendar of events.